Stay in Corfu's best hotels! Locandiera is located in the Corfu Old Town district in Corfu Town, 328 feet from Liston and 656 feet from Kolla Square. Each room is fitted with a flat-screen TV with satellite channels. Great location on the edge of the old town so not far to walk after taxi drop off. There are great restaurant and shopping streets at each end of the narrow lane where the hotel is situated. Recently renovated character building, very clean and comfortable. Delicious breakfast and very helpful owner who is there to help pretty much all the time. Located in Acharavi, Satori Boutique Hotel has air-conditioned rooms with free WiFi. Among the various facilities are an outdoor swimming pool, barbecue facilities, as well as a garden. The room was very clean and well equipped. Location is perfect: quite, very close to the beach and not far from a main street with a lot of shops, nice restaurants and cafes. Hotel owners are very hospitable and helpful. Set amid a 32,000-m² plot of olive and palm trees, Art Hotel Debono offers elegant rooms and suites with free Wi-Fi overlooking the lush gardens. Personality of staff. Atmosphere. Food. Everything. The perfect place. Kaiser Bridge is a family-run hotel enjoying breathtaking views of the Ionian Sea. It provides free sun beds on the beach located just 33 feet away and offers a bar-restaurant and free Wi-Fi access. Super nice and helpful staff, great beach, all beach equipment available free of charge. Nice breakfast and lovely dinners. Centrally located just steps from Corfu Town's central square "Spianada", this restored historical mansion offers comfortable rooms with breakfast included, within a lovely garden setting. Quiet place and away from the tourists. Though all in very close proximity and easy acces. There is no pool, but a short walk of 2,5 minutes brings you to the "beach" where the locals swim. A bar and chairs are there, as well for an excellent view of the bay and old fortress! Set on a hillside above one of the six beautiful bays of Paleokastritsa, this small, well-run family hotel offers spectacular views of the Ionian Sea, excellent cuisine and comfort at economy rates. Good location, stunning views, spacious balcony. Room was very silent, no other voices. Very comfy bed, great pillows! Buffet dinner was delicious, variety enough. Zefiros Traditional Hotel is a small, traditional family-run hotel, beautifully located right by the beach. The hotel has a romantic, old-fashioned style, and all rooms have sea views. Clean comfortable room. Friendly helpful staff. Location near beach, public transport, restaunts and hiking. Delicious breakfast and coffee. Located in Acharavi, Satori Boutique Hotel has air-conditioned rooms with free WiFi. Among the various facilities are an outdoor swimming pool, barbecue facilities, as well as a garden. The room was very clean and well equipped. Kaiser Bridge is a family-run hotel enjoying breathtaking views of the Ionian Sea. It provides free sun beds on the beach located just 33 feet away and offers a bar-restaurant and free Wi-Fi access. Super nice and helpful staff, great beach, all beach equipment available free of charge. Centrally located just steps from Corfu Town's central square "Spianada", this restored historical mansion offers comfortable rooms with breakfast included, within a lovely garden setting. Quiet place and away from the tourists. Though all in very close proximity and easy acces. Set on a hillside above one of the six beautiful bays of Paleokastritsa, this small, well-run family hotel offers spectacular views of the Ionian Sea, excellent cuisine and comfort at economy rates. Good location, stunning views, spacious balcony. Room was very silent, no other voices. Zefiros Traditional Hotel is a small, traditional family-run hotel, beautifully located right by the beach. The hotel has a romantic, old-fashioned style, and all rooms have sea views. Clean comfortable room. Friendly helpful staff. 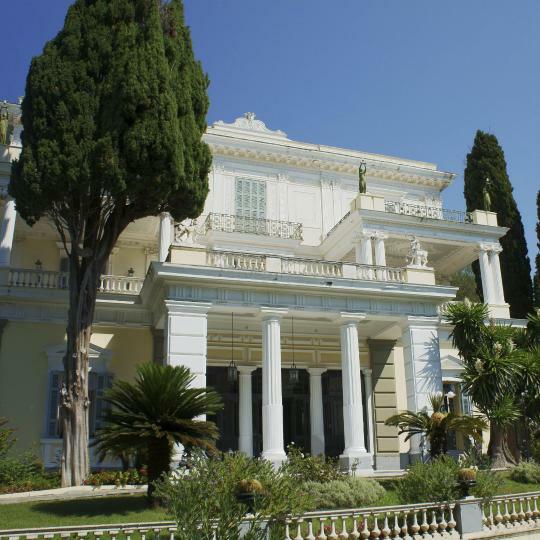 The charming Corfu Hotel Bella Vista offers air-conditioned accommodations and a hearty Greek breakfast. It is just only 98 feet from Benitses Beach, and offers free WiFi throughout. The staff was extremely helpful and friendly! Located in Nótos, in a building dating from 1982, Corfu Aquamarine provides a private beach area and guestrooms with free WiFi. Providing a restaurant, the property also has a garden and a terrace. Corfu Aquamarine is a true gem in the middle of Corfu island! Set in Acharavi, 22 mi from Corfu Town, Acharavi Beach Hotel features an outdoor pool and views of the sea. Right on the beach but also close to shops and restaurants. Offering an outdoor pool with a sun terrace and sun loungers, Alonakia Guest house is located in Agios Gordios and provides free WiFi access. A restaurant and a snack bar can be found on site. The staff and all the facilities are exceptional. The meals served at the restarant are fantastic. Thomas Bay Hotel features a garden and a shared lounge in Agios Stefanos. Around an 18-minute walk from Mathraki Island, the property is also 0.9 miles away from Othonoi Island and offers free WiFi. I loved everything about the holiday. The staff were amazing and helpful in all aspects. Located a 10-minute walk from Agios Stefanos Beach, the family-run Perros Hotel has an outdoor pool surrounded by a sun terrace. It features a bar-restaurant and a games room with billiards. Everything about Perros was fabulous from the extra tentative staff to the food. This small, family-run hostel is found within a short walk from the beach. It offers a reception/bar area and a large sun terrace overlooking the bay of Paleokastritsa. It was perfect for our needs. Beautiful views and pool. Close to all we wanted to do. 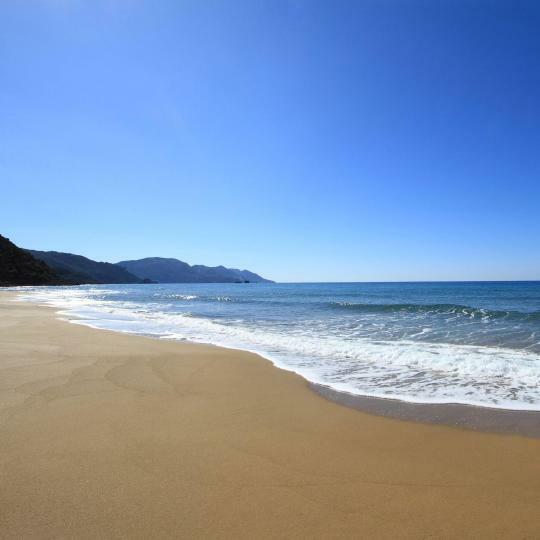 The luxurious Palms and Spas is only a 5 minute walk away from Messonghi’s Blue Flag beach. Corfu town is 11 mi away. All accommodations comes with sea views. View was beautiful. Very private. Hosts exceptionally friendly and helpful. 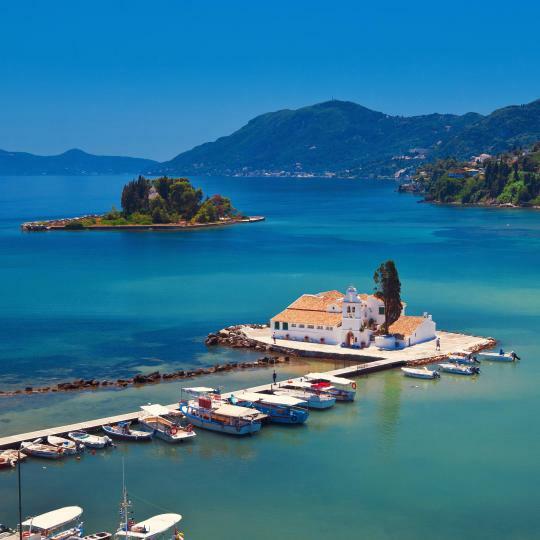 Featuring free WiFi and a restaurant, Firefly Hotel offers accommodations in Moraitika, 9.3 mi from Corfu Town. Guests can enjoy the on-site bar. Free private parking is available on site. Great location, very nice and helpful people. Featuring an outdoor pool, a kids' pool and a spa and wellness center, Corfu Palma Boutique Hotel is located in the center of Dassia, just 328 feet from the beach. Great hotel,the room is very nice and new, very clean, The staff is nice and courteous. 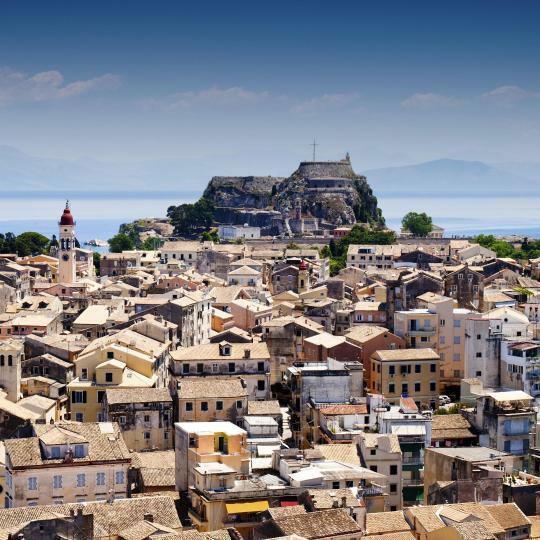 Listed as a UNESCO Heritage Site, Corfu Town boasts two Venetian fortresses and the Liston promenade running alongside the impressive Spianada Square. Take a dip in the emerald waters of Paleokastritsa surrounded by endless olive groves, steep pine-covered hills and golden sandy beaches. With its crystal-clear waters, the Blue Flag-awarded beach of Glyfada also boasts a long sandy shore, beach bars and water sports facilities. With vivid frescoes, lavish gardens and famous statues, Achilleion, the palace of Queen Elizabeth of Austria, is a definite must-see. Discover centuries-old archaeological findings in the vast gardens of the colonial-style Mon Repos Palace, once the summer residence of King George I. 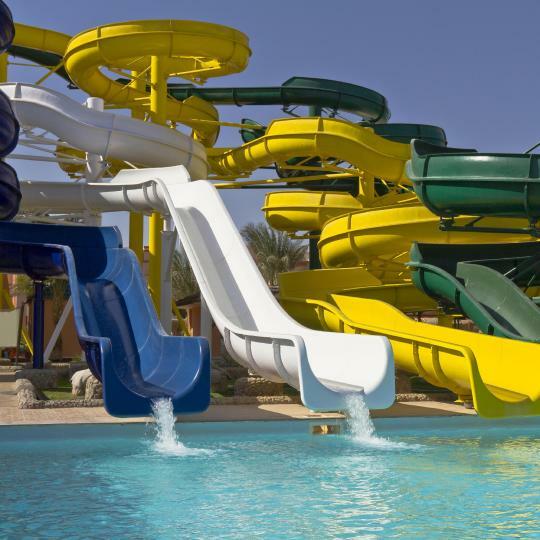 Surrounded by green forests, Aqualand features more than 36 waterslides and 15 adventure pools, offering an unforgettable experience of fun and joy. With crystal-clear waters, Canal d’Amour features unique rocks forming coves and canals. Legend has it that couples swimming here stay together forever. 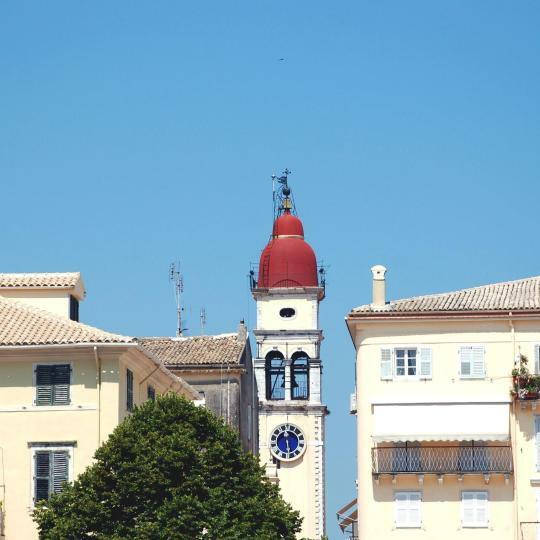 This 16th-century church is home to the mummified patron saint of Corfu and its bell tower is the highest point in town. Named after a French cannon located in its square, Kanoni overlooks the Ionian Sea, the Panagia Vlacherna church and the lush Mouse Island. 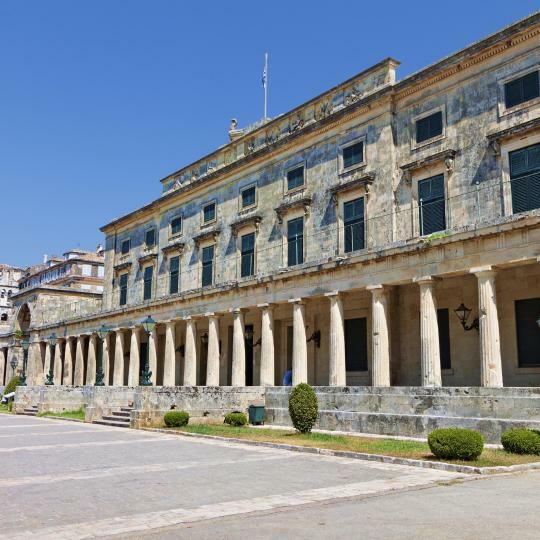 Located in Corfu Town, this one-of-a-kind museum boasts impressive art collections and antiquities from the Far East and India. 1. Location is simply unbeatable. The apartment is really just in the heart of the old corfu town, its easy to navigate, and all the eat-out places, super market and bakery are essentially just next door. 2. Our host is very helpful and punctual to check us in as arranged. 3. There are 3 separate bedrooms ideals for a large family: the main bedroom (with a queen-size bed ) is very bright and spacious, a second small bedroom (with a single bed ideal for kid), a third bedroom with a double bed. 4. The living room is quite spacious. Perfect location in the old town of Corfu, just steps away from the seaside walkway. The little apartment had all the comforts of home; in fact, I felt like a local everytime I stepped out of it. My host, Stefanos, was wonderful. He met me at a nearby restaurant to show me where the apartment was, and there was a nice bottle of wine waiting for me to enjoy. He was just a whatsapp message away with the answers to any questions I had. I will definitely try to stay here the next time I visit Corfu! Excellent, friendly and helpful Hosts (Anna, her son & husband), very clean and well equipped apartment with an AMAZING and unique panoramic view on the mountains, sea and the runway of Corfu airport ! 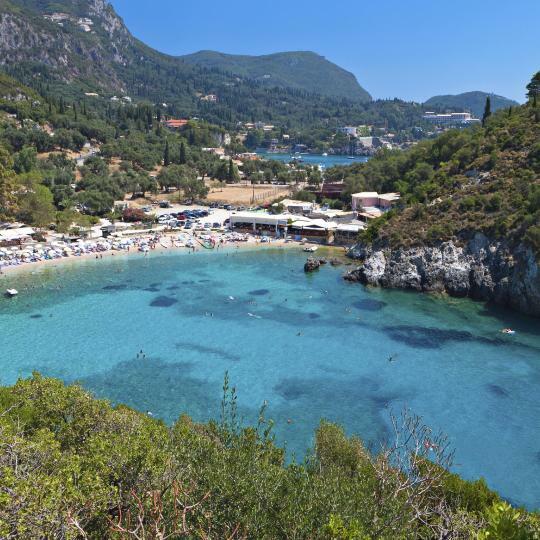 The location was very convenient, a few steps away from one of the most famous spot of Corfu, near some good restaurants with fantastic sea views, 10 mins walk to a supermarket and 2 mins walk to the bus stop that runs every 20 mins to Corfu town. Highly recommending and would go back again ! We chose Corfu (Krf) for specific Serbian reasons: to visit the world war 1 sites connected with the Serbian Army, and Government in WW1. The hotel was very convenient for this. The Serbian museum was just round the corner Also we preferred a stay in a lovely old city like Corfu, to a ghastly crowded poolside hotel. We were also interested in Orthodox Churches such as St Spridon, whose icon we bought, and others, such as St Petka (Paraskelsa). The apartment was AMAZING. The location is the best possible in Corfu Town - right on the main (pedestrian) street and directly above the best gelato shop in town. I was afraid it would be loud but it has new sound-proof windows. We slept very well. Comfortable beds, very roomy and airy, ample towels and blankets, a new washing machine, a well-stocked kitchen, a large dining room table, etc., etc. It was perfect in every way. Highly recommended! Papalina Suite is a really nice apartment located on one of the main streets of Corfu old town. It's very quiet and faces the backyard which has a very pleasant patio with tables that the guests can use. The apartment is nicely decorated, very clean and with all the facilities that are needed for a vacation stay. There is a housekeeping service provided and the hosts are extremely helpful and nice. Great place for a stay in Corfu Town! This hotel is in a terrific location! It is right in the heart of everything in Corfu Town. It’s walking distance to several bars and restaurants and also has a great view. In addition to that, the front desk staff was extremely friendly and helpful. They provided lots of great information on everything from transportation recommendations to restaurants. My next time in Corfu, I’ll definitely be looking to stay here again. Very comfortable, friendly and classy hotel. 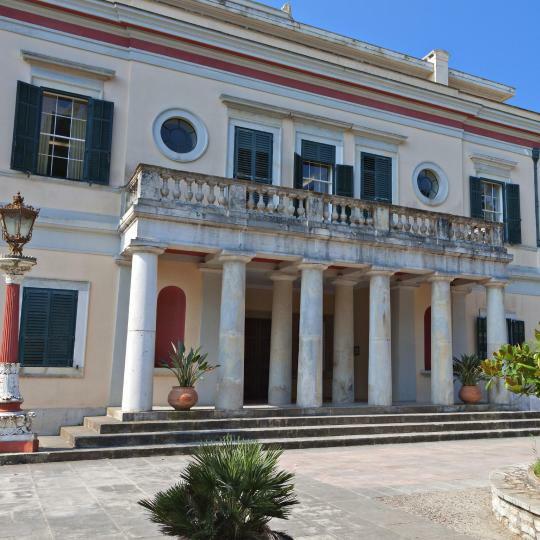 Location - very central in Corfu Town; easy walking distance to many attractions and to a street with great restaurants. Staff - very kind, always with a smile. Breakfast - excellent, omelets made to order, good coffee, high quality products; Very nice garden where one can have breakfast. Comfortable beds, we had very good rest. Wi fi worked well. Nice pool area which is covered by the hotel's WiFI with clear and well maintained water. Great free parking in front of the hotel for rental cars. Beautiful Kanoni are is 5 minutes walk away. Bus stop (Kanoni line 2) which takes you directly to Corfu Town is literally in front of the hotel. Free bottle of wine upon arrival was a nice experience! The apartment is located in the heart of the city (Liston)close to everything in Corfu town. It was very compact but tastefully decorated.The hostess Mrs Julia and the owner Nondas was very friendly and helpful besides they were ready and reachable when you encounter a problem with the apartment. And when so they will do their best to solve it. Very good location, close to the center of Corfu Town and airport. Breakfast was good, staff was polite and helpful, the room was clean. We stayed only one night before our return flight, but the hotel would be also a good location for accomodation if you have a car and are planning to see the different sides of the island. Lovely little hotel overall. 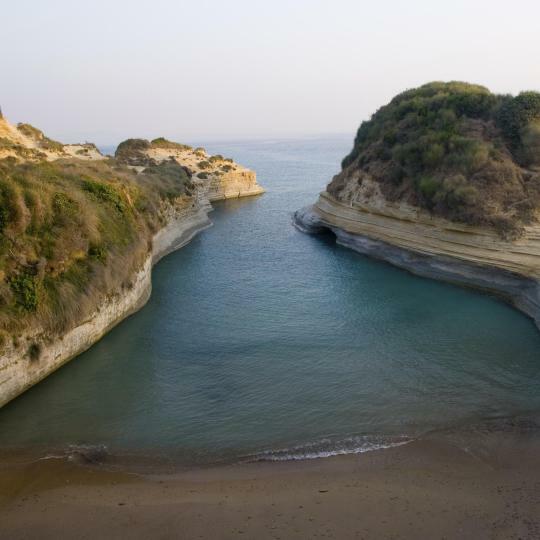 Good location, in Corfu old town and short distance to Corfu port and airport. All of the hosts were very friendly and helpful, good breakfast also with traditional greek flavours. Very clean rooms and beautifully decorated, every room is different and not boring like in big hotels. Very friendly and nice host who gave us lots of information and recommendations not only for Corfu town but also for other places we were about to visit. Also the apartment was perfectly located - everything worth visiting could be reached in a maximum 10 minutes walking distance. Check-in and out was perfect. Excellent staff. The apartments are located very high up, so the view is spectacular. Just a short walk down the hill and you’ll be by the beach. Room was equipped with a kitchenette and necessities. All in all just a great hotel in the beautiful north of Corfu. The location is great and the view is unbeatable. It is just too old..probably like any other Corfu hotel. You can't even find a proper plug for modern electronics in the room. Swimming pool is top notch but all other facilities need some update. Host was very friendly and welcoming! The size of the apartment was perfect for my friends and I, loved that we had 2 bathrooms as well. The location is great as well for Corfu Town, walkable to all the sights. Beautiful apartment in a perfect location. Argyris was a great host - he went above and beyond for us! A perfect home from home in the exquisite Old Town of Corfu.